Being an Outlook user, it’s very common to experience Outlook problems. Where Outlook client has many features, on the other hand, it has some serious drawbacks. Outlook users often complain about the problems they face while using the MS Outlook client. In this post, we’re going to discuss the 5 common Outlook problems which you may often face. Also, you’ll learn how to fix them without any hassle. Do you agree if I say “the widespread of email technology has made communicating with each other much, much easier”? Of course, you do! Over the past few decades, email has become one of the most important communication tools for everyone. Be it a home user or any organization, everybody uses email for communication purpose. Generally, home users use web-based email clients like Gmail, Yahoo, and Hotmail. But if we talk about the users who work in an organization, they prefer desktop email clients like Outlook and Apple Mail. For a Windows user, Microsoft Outlook client doesn’t need any introduction. It’s highly popular among Windows users. More than 90% of Windows users use Microsoft Outlook client. It offers you great performance and outstanding features. But sometimes when it gets stopped, it starts creating troubles for Outlook users. 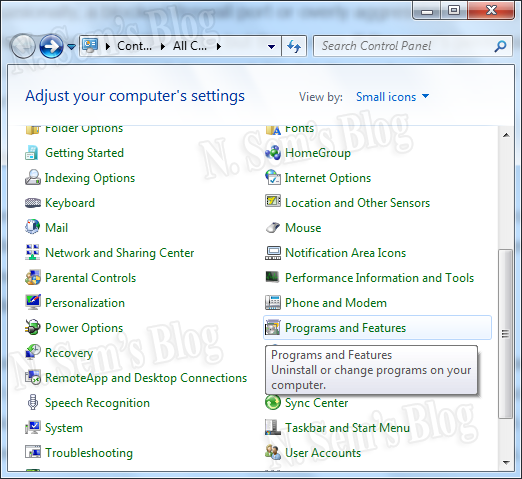 Whenever users face Outlook problems, they restart the Outlook program and/or the computer system to resolve the problem. This is the very first thing Outlook users try. Sometimes this common trick doesn’t work for you. In such a situation, you should look into the matter a bit more deeply. The deeper you go, the better it gets. 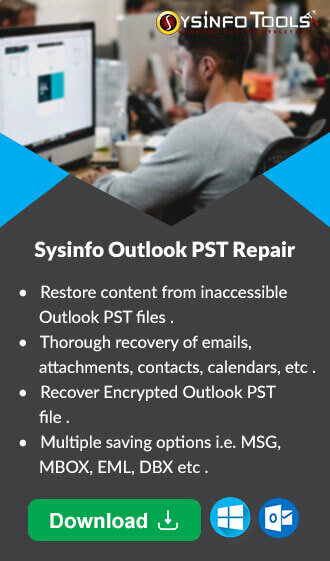 I’ve compiled 5 most common Outlook problems along with their quick fixes. If any outgoing email message has been formatted, you’re likely to confront this Outlook error message. Incorrect format of a destination of the email address is the primary reason for this error. You should definitely check the To: address first before anything else. Some Outlook versions clearly tell you that the destination email address is unrecognized. Another reason is related to HTML-based email messages. Solution: Changing the format of the outbound message from HTML to plain text or rich text should resolve this outlook error message. This Outlook error message is one of the most common Outlook problems. You may encounter this Outlook error message while you’re opening an Outlook profile. The most likely cause of this error is that the Outlook client is running in compatibility mode. Solution: It’s very easy to fix this Outlook error message. All you need to do is switch off the compatibility mode. Find the Outlook.exe, and right-click it. In the options, click Properties. Step 2: On the Outlook Properties dialog box, click the Compatibility tab. 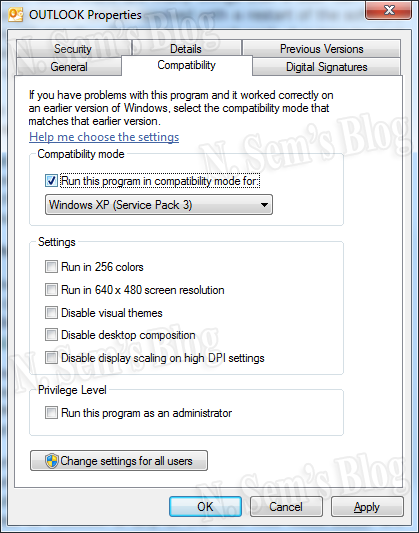 Under the Compatibility mode, uncheck the box Run this program in compatibility mode for. Click Apply > OK.
Now restart the Microsoft Outlook client. No data connection: Maybe there’s no data connection available. It’s better to test your SMTP connection by using the Telnet. Refer to this article to know how to do that. Software collision: If the interference or collision of any 3rd party application with Microsoft Outlook client takes place, you’re likely to receive this error message. Many programs including Antivirus software can interfere with Microsoft Outlook connecting to the Exchange Server. Solution: You need to start Outlook in safe mode to check whether this is the real cause or not. Corruption in Outlook files: Corruption might also be the reason behind that Outlook error message. You may receive this Outlook error message while trying to open Microsoft Outlook. The above error message indicates that you can’t open Outlook because it has been damaged. Step 1: First, open the Control Panel. Go to the Programs > Programs and Features. Step 2: Now find the Microsoft Outlook in the list. Right-click it and click Change. Step 3: Now you can see the Microsoft Office 2010 splash on your screen. Choose Repair in the options, and click Continue. 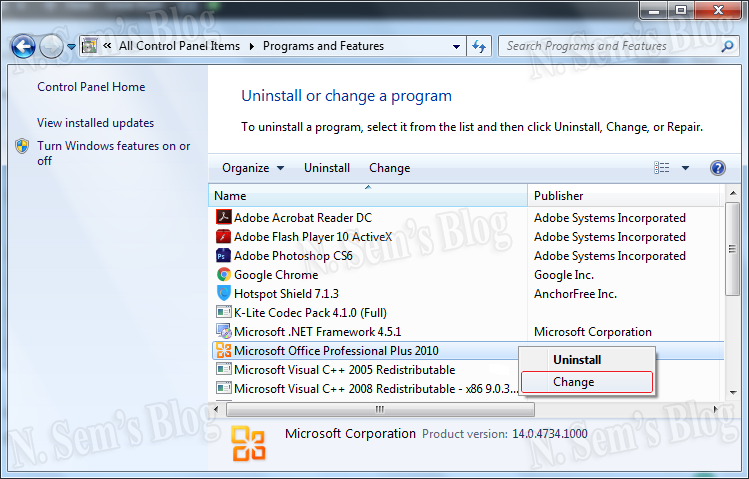 The Microsoft Office repairing process is being conducted on your system. Sometimes it may happen that Outlook prompts you to enter your password every single time you send an email message. This is truly very annoying. 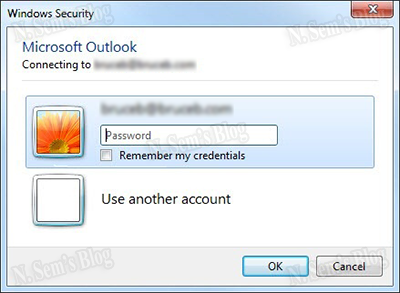 The most likely cause is that Outlook has not been configured to store users’ password. You must be aware of PST file size limitation issue. It PST file reaches its maximum size or crosses it, it may cause great troubles for Outlook users. Poor performance and corruption are two most common problems which occur due to oversized PST file. 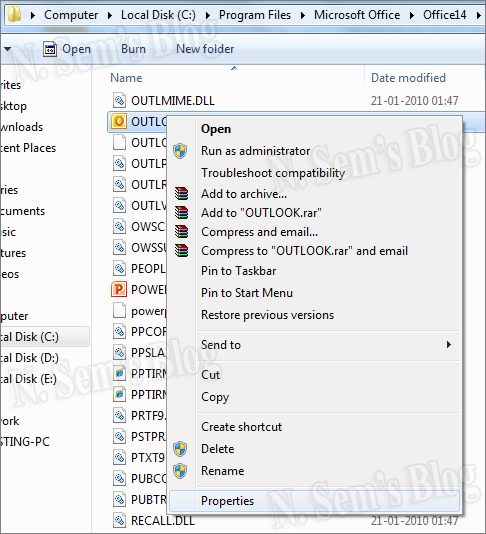 You have two solutions here: either you can split PST file into two or multiple smaller parts or you can compress PST file by using the built-in Compact feature of Microsoft Outlook.